The Better Business Bureau ("BBB") of Central/Northern Arizona is a membership-based, nonprofit organization funded by member companies. The purpose of the organization is to promote highly ethical business relationships through voluntary self-regulation, consumer and business education, and arbitration. The Central and Northern Arizona Better Business Bureau began in 1938 and serves Apache, Coconino, Gila, La Paz, Maricopa, Mohave, Navajo, Pinal, Yavapai & Yuma counties. Who Can Join the BBB? Member companies must meet and maintain 13 membership standards. These include proper licensing, being in business locally for a minimum of a year and following a specific code of business ethics, advertising, and selling. Who Can Use the Services of the Better Business Bureau? Anyone who wants to find out if there is an existing report on a company or charity in Arizona can use the service. The company doesn't necessarily have to be a member of the Better Business Bureau for there to be a report on it. If a company is a member, it is mentioned in the report. Having the full name, address and/or phone number of the company is most helpful when conducting a search. What Will a Report Tell Me? A report includes basic business information about the business as well as any complaint activity over the previous three years. You will not be able to see the actual complaints, so you have no way of knowing if they were serious or not, or justified or not. You may also be provided information about any special situations or licensing requirements for that category of business. How Do I File a Complaint Against a Business? Before filing a complaint, you should make every effort to resolve the issue directly with the business. Keep accurate documentation throughout that process. If working with the company directly doesn't achieve a resolution to the problem, you can file a complaint. The Better Business Bureau doesn't decide who is right or wrong in these cases, they are simply there to keep lines of communication open between you and the business, and hopefully mediate the process toward a satisfactory result. The BBB allows consumers to request bids for goods and services from BBB members online. Visit the BBB online, select an industry and provide a description of your needs. Choose how you'd like the businesses to contact you; by phone, email or postal mail. Once the request is complete, it is automatically emailed to BBB members in the selected industry so they can contact you with an estimate. 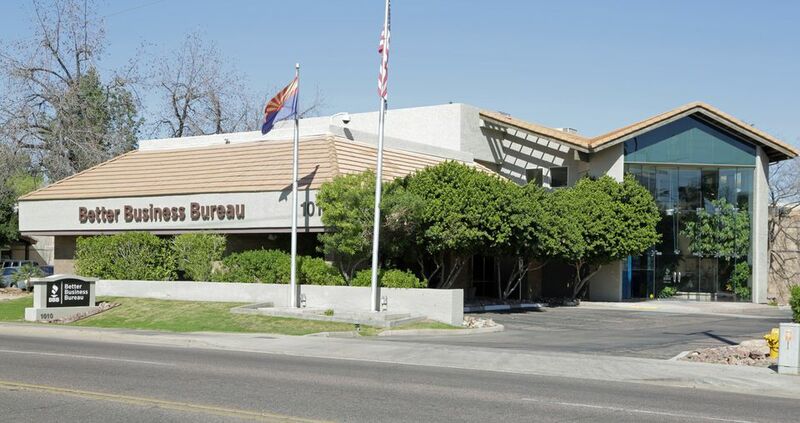 For more information in Phoenix about the Better Business Bureau, visit them online or call. Are You Hiring Licensed Contractors?